The International Triathlon Union today announced the ITU Triathlon World Cup calendar for the 2018 season, which includes USA Triathlon-hosted races in New Orleans in April and Sarasota, Florida, in October. 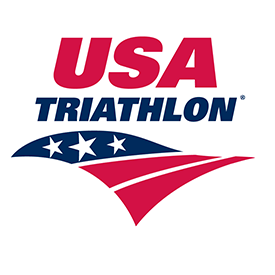 Each U.S. stop will also include a Paratriathlon World Cup as part of the event schedule. The New Orleans ITU Triathlon World Cup and ITU Paratriathlon World Cup, scheduled for April 14-15, will feature a sprint-distance course covering approximately a 750-meter swim, 20-kilometer bike and 5-kilometer run. The event will center around the South Shore Harbor Marina, with the swim taking place in the marina’s protected waters and the bike and run traveling along the scenic waterfront. “After producing numerous ITU events across my career in locations like Honolulu, Hawaii; Bellingham, Washington; Alpharetta, Georgia; Des Moines, Iowa; New York City and Washington D.C., I could not be more excited to host this event in my hometown of New Orleans,” said Bill Burke, President and CEO of Premier Event Management (PEM), LLC, and the Race Director for the ITU New Orleans World Cup. In addition to organizing elite ITU races across the nation over the last decade, Burke and the PEM team also annually host IRONMAN 70.3 New Orleans, the Escape Series Triathlon races, the New York City Triathlon and several other well-known endurance racing events in the United States. Although New Orleans is a first-time ITU World Cup host, the city last year was the site of the USA Triathlon Elite National Championships, USA Triathlon Draft-Legal Triathlon and Duathlon World Qualifiers and the Women’s Collegiate Triathlon National Championships, all organized by PEM. The Sarasota-Bradenton ITU Triathlon World Cup and ITU Paratriathlon World Cup will return in 2018 for the second year, as the city is also hosting elite and paratriathlon races on this season’s World Cup circuit from Oct. 7-8. The 2018 event will be held a week later, from Oct. 13-14. Similar to its 2017 format, the 2018 event will feature a spectator-friendly, multi-loop Olympic-distance course covering approximately a 1,500m swim, 40k bike and 10k run. Racing will take place at Nathan Benderson Park, a 600-acre community park operated on behalf of Sarasota County by the nonprofit 501(c)(3) organization Suncoast Aquatic Nature Center Associates, Inc. (SANCA). Sarasota has significant experience hosting races on the ITU calendar, as it has served as the site of ITU Continental Cup events since 2013. After this season’s stop in Sarasota, the United States will have hosted a total of 21 ITU World Cup events since 1991. The last time the World Cup circuit came to U.S. soil twice in a single season was in 2003, when both New York City and St. Petersburg, Florida, served as hosts. In addition to World Cups, the U.S. has also hosted a number of other international events as part of the ITU schedule, including five ITU World Triathlon Series races: Washington, D.C. in 2009, San Diego in 2012-13 and Chicago in 2014-15, which in 2015 served as the ITU World Triathlon Grand Final and Age Group World Championships. The ITU Triathlon World Cup circuit will feature 18 races in 2018. In addition to the stops in New Orleans and Sarasota, the circuit will also visit the Americas from June 9-10 in Huatulco, Mexico, and from Oct. 20-21 in Salinas, Ecuador. The ITU also announced its calendar for the 2018 ITU World Triathlon Series and ITU World Paratriathlon Series on Tuesday. Visit triathlon.org for the complete listing of events. About Premier Event Management: Premier Event Management (PEM) is America’s preeminent organizer and race director for multi-sport and endurance racing events from coast to coast. Established in 1993, PEM owns and manages more than 25 of the most widely recognized triathlon, running, cycling and endurance events in the world including IRONMAN® 70.3 New Orleans, New York City Triathlon, Escape from Alcatraz Triathlon, The Nation’s Triathlon, Naperville Sprint Triathlon, Philadelphia Triathlon and the Des Moines Triathlon. In addition to the production of wholly owned events, New Orleans-based PEM also provides all services required for new or established events, from consulting services to complete turnkey productions. For more information visit www.pem.events. About Suncoast Aquatic Nature Center Associates, Inc.: The Suncoast Aquatic Nature Center, Inc. (SANCA), is a not-for-profit business created to manage Nathan Benderson Park, a community/public asset and world class, multi-use sports venue. Its mission is to improve the quality of life for our community and be an economic generator for the region. SANCA’s primary purpose is to develop and promote Nathan Benderson Park as a world class event center, team training site and Sarasota County Park, while providing outreach programs through recreation, safety training, education and volunteering as a service to our community.